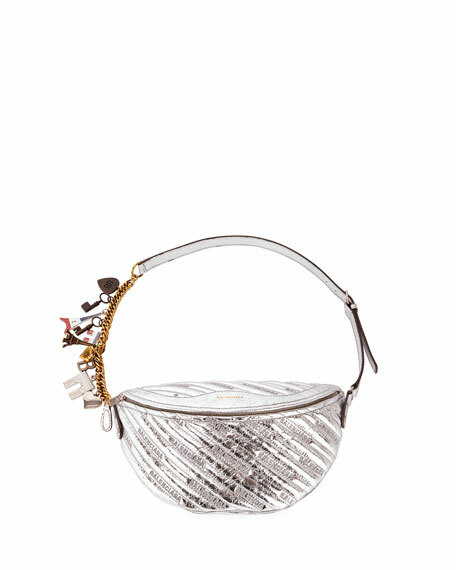 Balenciaga quilted metallic leather belt bag with antiqued golden hardware. Adjustable waist strap with world travel and key charms. 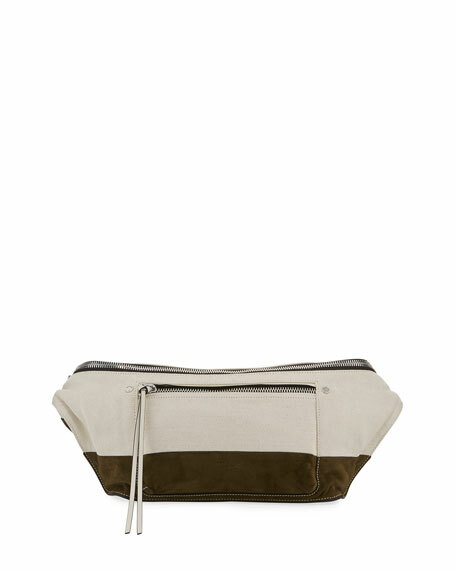 3.1 Phillip Lim cow leather convertible belt and crossbody bag. Adjustable strap; can be worn at waist or crossbody style. Flap top with snap closure. Interior, one zip compartment. 4.5"H x 9"W x 1"D. "Hudson" is imported. 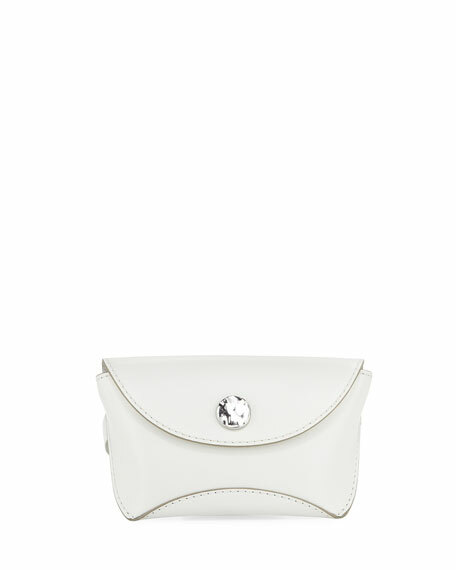 Etro crossbody pouch bag in silk brocade with allover colorblock circle, stud and triangle embroidery. Braided, knotted wristlet handle. 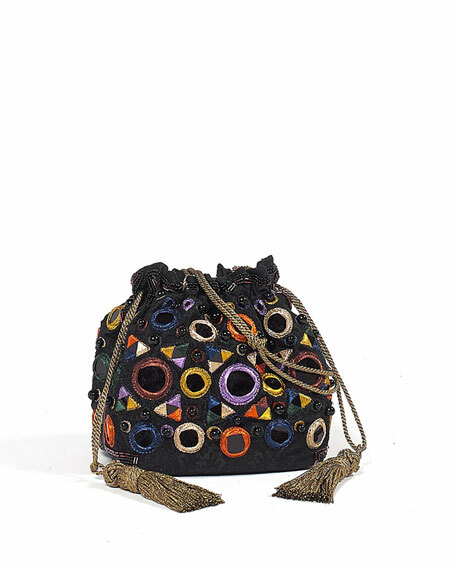 Open top with drawstring tassel closure. Made in Italy.